Another release into the hidden object puzzle adventure genre where you to save the whole city. The idea is not new, most of us have done that many times, but the story in Fallen: The Flowers of Evil is still interesting and the puzzles are challenging. The game play is that of a streightforward hidden object puzzle adventure game. You play as a doctor in the town of Blackburn. You came here to investigate the strange cases of citizens dying of an unknown illness. Others are having a fever and are in danger of dying too. You begin to find clues and put them together. Some strange flowers that grow all across the town might be one of the biggest clues. 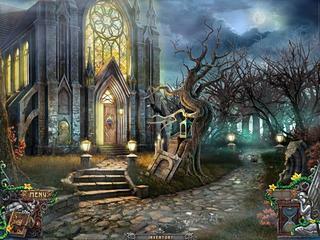 The game's graphics are quite dark and gothic, which is due to the story. The voice overs and sound effects are fitting the general atmosphere perfectly. 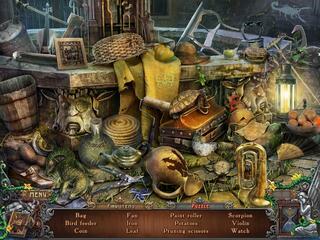 The game play is that of a streightforward hidden object puzzle adventure game. You do wander a lot and you can use a jump map to do that faster. There are hidden object levels that are not interactive, and you can switch to shooting puzzles instead of them if you want to. There are also occasional mini-games that are fun to play. There are three modes of play you can choose from. In general, the game is quite challenging. This is Fallen: The Flowers of Evil in a nutshell. The game is great unless you are very demanding about some aspects. well i would def read the fine print because lot of times they lock you into pamnyet plans which are not pretty or other games. but it could quite well be a legit thing.if you want to consolidate credit card debit use a non-profit service but make sure they explain the whole process to you and ask as many questions about it as needed. well i would def read the fine print because lot of times they lock you into pamneyt plans which are not pretty or other games. but it could quite well be a legit thing.if you want to consolidate credit card debit use a non-profit service but make sure they explain the whole process to you and ask as many questions about it as needed. This is Fallen: The Flowers of Evil review. Download this game here.